The light was blinding the owners of this lovely house every time they sat down to an afternoon BBQ. That was, before Outside Concepts Sutherland Shire stepped in! The problem was that their wonderful outdoor family entertaining area faced west and on a sunny day the afternoon sent scorching sun into the area. An acceptable situation in the midst of winter perhaps, but intolerable in summer! So Outside Concepts remedied the situation by installing state-of-the-art Pinz ZipTrak blinds across the west and north access points of the patio and now they are sitting and relaxing in shade and comfort! 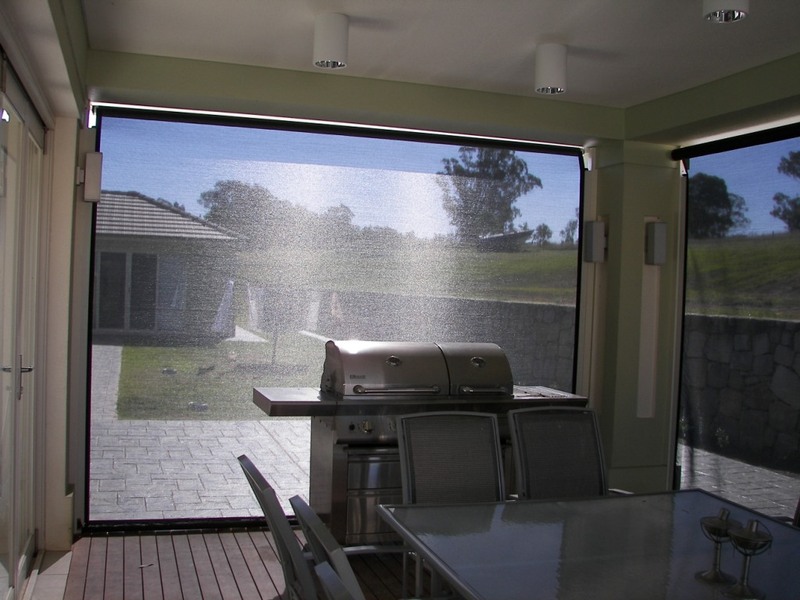 Pinz ZipTrak blinds are high quality window and pergola blinds – they utilise unique slotted sidetracks so that the blind glides smoothly up and down, stopping where you want it. There are no straps, pulleys, zips or ropes. The fabric specified here is the ShadeView 22o. 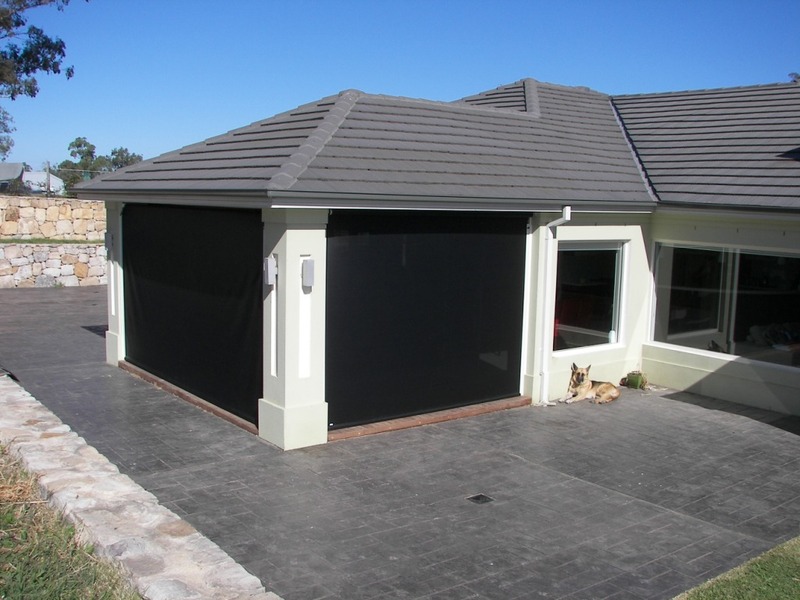 This fabric lets the light and cool air filter through while blocking out up to 90% of UV rays. It’s a woven design which is mildew resistant with fire retardant additives. 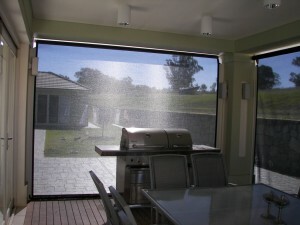 While there are many varieties of outdoor blinds on the market, here at Outside Concepts we recommend Pinz. They are an Australian company manufacturing the blinds here in Australia to suit our unique climate and building structures. They have an integrated approach to design so that the blind, it’s mechanism and the pelmet are sleek, attractive, durable and easy to operate. 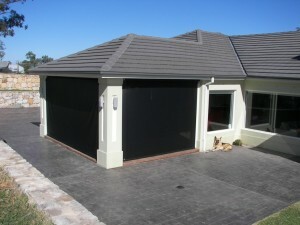 So if you’re interested in protecting your outdoor with Zip Track Blinds call Richard at Outside Concepts Sutherland.